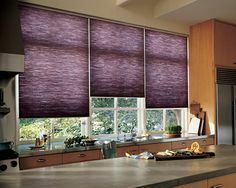 Why buy a Budget Blind when you can purchase a quality blind at economical prices? 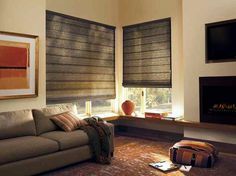 Quality Window Treatments is a full-service window treatment company, proudly servicing Michiana with quality window blinds, shutters, and shades. We have been installing custom window treatments and blinds in South Bend, Mishawaka, Elkhart, Goshen and Granger Indiana since 1990. With our friendly staff, prompt installations and incredible warranties, we have satisfied customers all over the Northern Indiana area. We are Michiana’s number one choice for quality window treatments and custom window fashions at an economical price! Schedule a free in-home shopping appointment and one of our expert design consultations will meet you at your home in Northern Indiana. We listen! We’ll transform your home with custom window treatments that meet your unique needs, whether you’re redesigning your entire home or simply a single window. We’ll work on proper application, color selection and review installation procedure with you to create your own style at your Budget. Providing a welcoming functional environment in the educational, medical, institutional and other commercial areas in Granger, South Bend and all of Northern Indiana. Providing close out documents at the end of each project with products used, colors and warranties. Confused with all the options we offer? No problem! Try our product comparison chart to figure out which window treatments are right for you and your home or business. 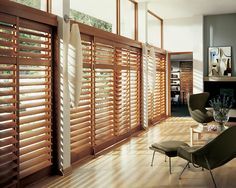 We offer a wide variety of Hunter Douglas window fashions to meet all your needs, including favorites like Duette® Honeycomb Shades, Silhouette® Window Shadings, Luminette® Privacy Sheers, wood blinds, shutters and more.